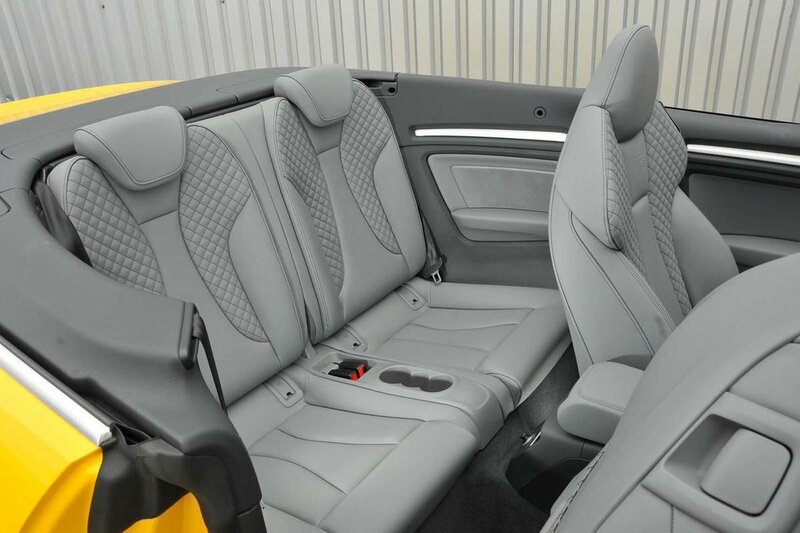 Audi A3 Cabriolet Boot Space, Size, Seats | What Car? There’s more than enough shoulder room for a couple of tall adults in the front of the A3 Cabriolet and, even plenty of head room with the hood up. In fact, there's almost as much space as the A3 hatchback. The simple fascia design doesn’t pack many cubbyholes but there are storage areas ahead of the gearlever and under the centre armrest, and a couple of cupholders beneath the ventilation controls. Meanwhile, the door pockets are each big enough for a large water bottle. Storage compares well with other cars in the class. The doors are long and open wide, making close parking an anxious business. The roofline is a little low, so you have to stoop to get in. Those with a bad back might want to consider this. If those up front aren’t too tall, two adults will just about fit in the rear of the Cabriolet, albeit with their knees pressed up against the front seatbacks. Head room isn’t great with the roof closed either so the rear seats are really best left for children, unless the sun is shining. Like other cars of its type, there is very little scope for oddments storage in the rear. 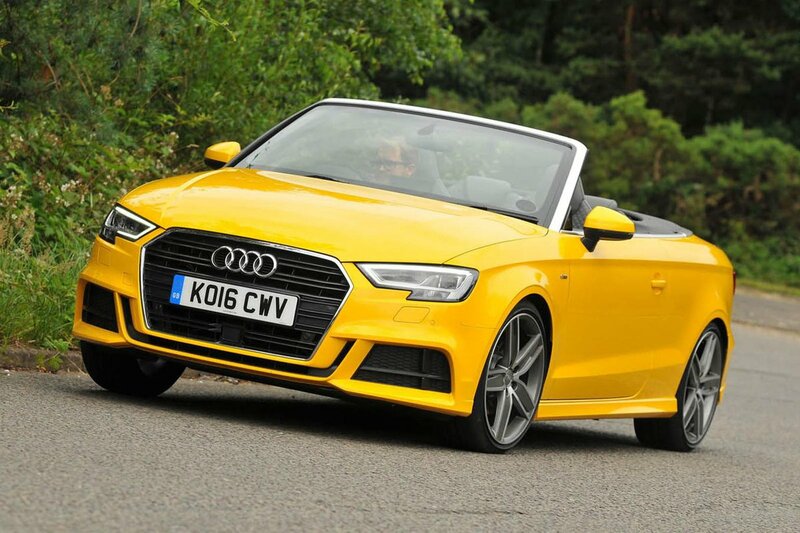 The A3 Cabriolet really does put its front occupants first, That point is underlined by the optional wind deflector: a large contraption that you have to erect across the rear seats, turning the A3 Cabriolet into a strict two-seater when it's in place. The rear seats aren’t particularly clever. They don’t move back and forth to prioritise cabin or boot space, for example, and they can’t be reclined, either. However, it is at least easy to fold them down. Simply pull a handle inside the boot and the spring-loaded seatbacks drop down onto their bases in a 60:40 split. All A3 Cabriolets come with a height-adjustable front passenger seat as standard. Both front seats have an easy folding mechanism to aid access to the rear seats. With the hood up, the boot is surprisingly large, with plenty of room for a couple of suitcases or a big weekly shop. A relatively wide aperture also makes it easy to load. With the rear seats folded down, you can slide in long items such as flat-pack furniture with relative ease. It’s just a pity that the roof eats up so much boot space when folded down, leaving you with a shallow load bay that’s tricky to access.